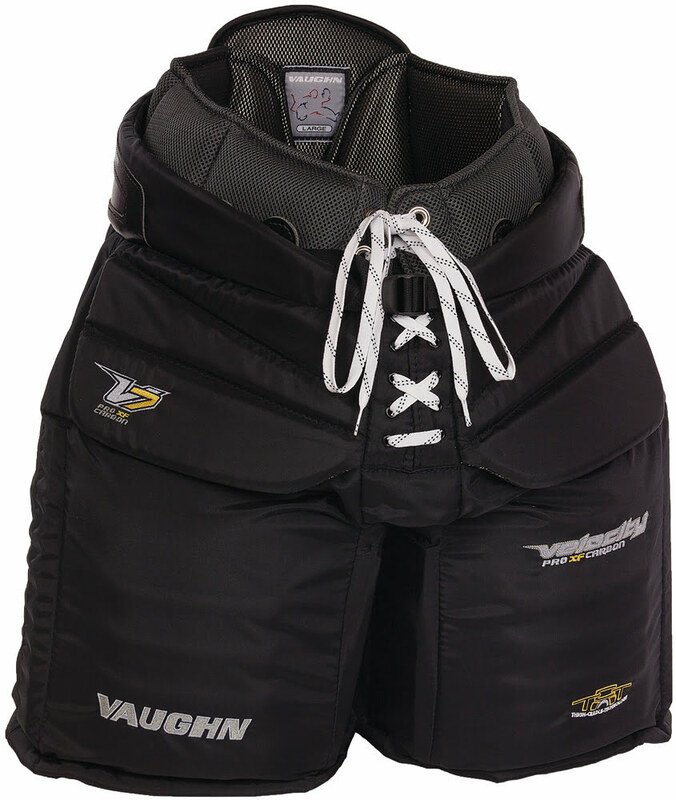 Vaughn Velocity V7 XF Pro Carbon Goal Pant | Sports Etc. The Velocity V7 XF Pro Carbon goalie pant is designed with a narrower upper waist section that fits closer to the body. The kidney and upper sections of the pant is designed with special Ultra-high density foam segments that are specifically designed to give complete flexibility to the body core. The interior of the pant also features a new padded belt with carbon fiber hip pointer reinforcement. Large Carbon fiber thigh guards reduce weight and increase protection and give a more solid blocking area on the thigh guard edges.